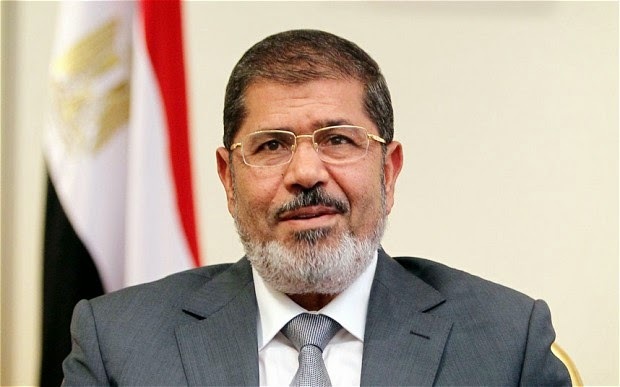 An Eyptian court today sentenced former Egyptian president Mohammed Morsi to death over a mass prison break in 2011, weeks after he was sentenced to 20 years in prison for ordering the arrest and torture of protesters during his time in power. Morsi was removed as president y the military in July 2013 following mass street protests against his rule. Since then, the authorities have banned his Muslim Brotherhood movement and arrested thousands of his supporters. All death sentences must first be sent to the Grand Mufti, Egypt's highest religious authority, for his opinion on whether they should stand. Convictions are still open to appeal, even if the Grand Mufti gives his approval. Morsi's supporters have said that the cases against him are politically motivated and attempts to give legal cover to a coup, while Morsi has rejected the authority of the courts. Morsi was Egypt's first freely elected president, but protests began building less than a year into his rule when he issued a decree granting himself far-reaching powers.